Fine furniture, china, home accessories — you’ll find gently used treasures from some of the area’s most gracious homes at The Gathering Place Warehouse, 4911 Commerce Parkway in Warrensville Heights (map). Click here for a look at just some of the tantalizing merchandise available at this home furnishings sale. Terms for all purchases are cash or credit card only. (For more information, call 216-595-9546.) 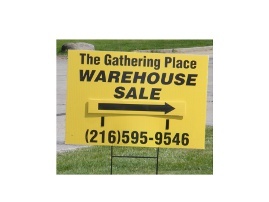 Note: the sale is at the Warehouse, not at The Gathering Place. Frustrated about recycling? Let’s talk! 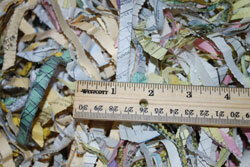 If you’re like most of us, recycling leaves you with more questions than answers. 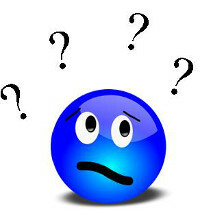 Let’s start sorting out the problems and finding some solutions. You’ll go home with lots of useful information, ways to get answers to future questions, and some new insights into the 4Rs of waste management: reduce, reuse, repurpose, recycle. Reserve your seat now: call 440-207-0727.